Mumbai, June 20, 2018: BookMyShow today announced its entry into ticketing for events being held outside of India with multi Tony-award winning production of Rodgers & Hammerstein’s THE KING AND I. After successfully donning the producer’s hat for Disney’s Aladdin, the Broadway-style musical in India, BookMyShow is also co-producer of this critically acclaimed musical marking its entry into London’s West End this summer. Category leader BookMyShow, which has transformed itself from a pure online ticketing player to be India’s biggest go-to destination for entertainment, continues to innovate and venture into new verticals to grow the market as well as increase its share in the entertainment value chain. Its association with Trafalgar Entertainment Group will not only allow thousands of Indian tourists looking to travel to UK/Europe this summer to add The King and I to their itineraries and book their tickets for this masterpiece in advance on BookMyShow but will also ensure a lot of their productions eventually travel to the sub-continent to reach a larger base of its consumers here. “Millions of Indian tourists travel abroad each year and many of them are increasingly traveling to satiate their appetite for international entertainment, be it watching their favourite artist live, supporting their football team or to grab a bit of world class theatre. This is where we sensed an opportunity in fulfilling the need of our audiences that travel or who will travel should the entertainment be a draw. Our customers in India will now be able to get their tickets seamlessly for some of the biggest international events happening around the world be it live concerts, theatre or even sport. We are delighted to mark our entry into this new segment with the sale of tickets of our very own co-production of The King and I, one of Rodgers & Hammerstein’s finest works that the Trafalgar Entertainment Group is producing”, said Albert Almeida, COO-Non Movies, BookMyShow. The multi Tony Award-winning production of Rodgers & Hammerstein’s THE KING AND I will transfer from Broadway to London this summer following a critically acclaimed 16 month run at New York’s Lincoln Center Theater and an unprecedented continuing record-breaking sold-out USA tour. Opening at the world famous London Palladium on June 21, 2018, the show will star the two original Lincoln Centre Theatre lead actors: Broadway Musical Royalty Kelli O’Hara, who will reprise her Tony Award-winning role of Anna Leonowens, together with film star, Oscar and Tony nominee (for his role on The King and I) Ken Watanabe, who will star in the title role of The King of Siam. Both will be making their West End debuts, following their acclaimed performances on Broadway. Acclaimed Tony Award-winning Bartlett Sher will once again direct the production, hot on the heels of his work on The Lincoln Center Theater’s World Premiere of J.T. Rogers’ smash hit play Oslo, which opened on Broadway and then transferred via the National Theatre to London’s Harold Pinter Theatre in October this year to rave reviews. He, along with the celebrated creative team behind the award-winning production of South Pacific, will reunite to bring this majestic production to life at the Palladium. 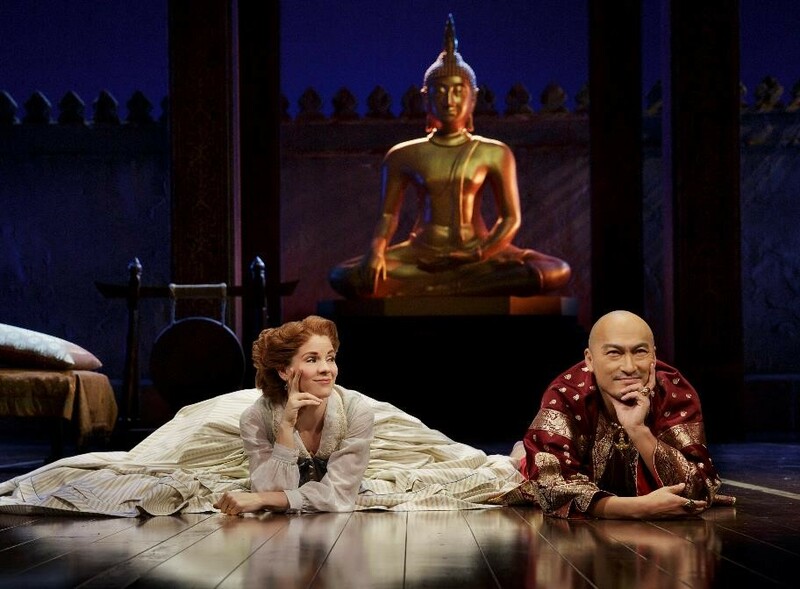 With music by Richard Rodgers, book and lyrics by Oscar Hammerstein II, THE KING AND I – which won four Tony Awards including Best Revival of a Musical – will open its European Premiere at the London Palladium. The production will open 21 June 2018 (Press Night on 3 July 2018) for a limited engagement, booking until 4 August 2018. One of Rodgers & Hammerstein’s finest works, this masterpiece boasts a score featuring such beloved classics as Getting To Know You, Hello Young Lovers, Shall We Dance, I Have Dreamed, and Something Wonderful. Set in 1860s Bangkok, the musical tells the story of the unconventional and tempestuous relationship that develops between the King of Siam and Anna Leonowens, a British schoolteacher, whom the imperious King brings to Siam to tutor his many wives and children. Featuring a company of over 50 world-class performers, The King and I is a testament to the lavish heritage of gloriously romantic musical theatre. Disclaimer: The Daily Brunch does not own the credits of the content or the image.